I’ll be leading some witty, silly, Petty Protest at Green Man Einstein’s Garden this year, as part of their theme of (Mis)Behaviour. Then you can go back out into this increasingly-parodic world, ready to turn your new-found protesting skills to something else. Because let’s face it: there’s plenty that’s not petty to protest about. Returned from Green Man on Monday – which was an utterly lovely festival experience: the event is brilliantly well run, with a perfect mix of types of music and other arts to rove around experiencing. And such lovely people, everywhere! On Friday and Saturday, I was up to run the first sessions in the Einstein’s Garden Workshop Dome (wherein were various arts-science happenings took place throughout the fest), with the inaugural Bee Ceilidh on Sunday afternoon. Until then, here’s a couple of the pieces that came out of the workshops – some dialogues between flowers and bees…The italics are bees, the non-italics are flowers. How would you guarantee a soft landing on your petals? I stand head above every other flower in the garden. What was the first song you sang this morning? I radiate a kaleidoscope of pink that is sure to tickle your buzzer. When do you usually bloom? My petals are perfectly shaped to protect you from that autumn breeze. Have you moved gardens lately? up and down the country. In a sentence, please describe your pollen and rate it on a delicious factor? 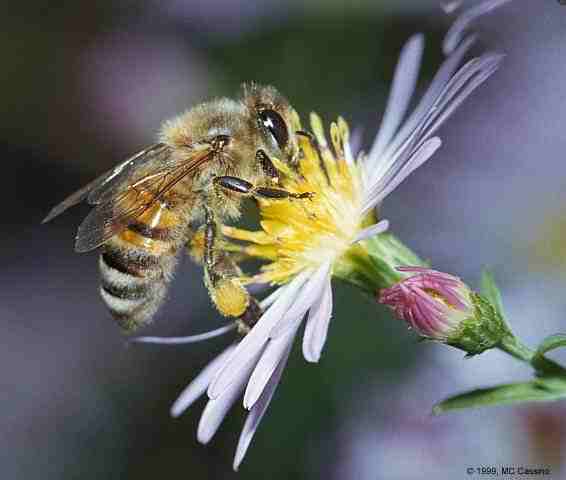 My pollen is neverending – you can feast for days. How sweet is your nectar? I smell like a dead horse. Will your stripes guide me? I feel like a dead horse. I look like a dead horse. Can I get nectar from you? I adapted to get flies attracted to me. How curious and macabre, yet entertaining – perhaps that girl will go on to have a career in carnivorous plant research…? Thanks to all those who took part in both the workshops and the Bee Ceilidh. Hopefully there’ll be some photos of the Ceilidh soon – in which case, I’ll post them, or a link to them, on here. See you there for some apian antics. Excellent news, I’ve been confirmed as performing in Einstein’s Garden at the Green Man Festival in August! I’ll be performing all seven Vermin poems, which I’m developing into a single performance – verminous costume and all – at the moment. Last Wednesday, I performed some work at Folk Tales – which was excellent as ever, including gorgeous music and some top-rate storytellers. As I’d been working on it with a view to performing the whole sequence at festivals, I finished the final vermin piece – Fox/Sloth ‘Why Even Try?’ and read it there. It might be a slightly down-beat note to finish on, being as the fox’s sloth seems to take the form of nihilism (perhaps sloth’s ultimate conclusion) and I wanted it to be a ‘coda’ to the sequence – on the endeavour of writing and the possible futility of it. As the most famous of ‘literary foxes’, I invoked Ted Hughes’ ‘The Thought-Fox’ – or rather, un-invoke it, with my sloth-fox’s diminishing refrain of ‘no thought-fox am I/so why even try?’ Hughes’ poem is very much about the act of writing – the poet watching the fox’s footprints printed in the snow’s white expanse, while the poet attempts to fill the page’s white expanse with something meaningful. All the Vermin pieces are written in the first-person, so it seemed like a good moment to have the fox ‘replying’ to the poet, looking back to him/me/her/whoever is writing, through the window, and questioning the whole venture. Perhaps, too, there is s’ome slothful cunning in there, as the fox attempts to discourage poetry while contrarily ‘becoming’ a poem. As fox’s have been at the heart of a lot of controversy through hunting, I bring this in at the beginning – as the ‘red pen’ of the hunting jackets attempt to ‘correct’ the fox. They may be inspiration for one of our greatest poets, but they’re also still considered ‘vermin’ by many in the countryside. And a very elegant one it is. (And certainly much more formally constructed than my own!). tangled in light at the window. lies, baying for ever more tails.